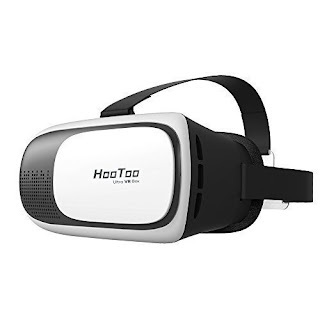 Run over and snag these HooToo Virtual Reality VR Headset for $21.99 (Retail $199.99). -VR HEADSET: Turn your iPhone, Android, or other smartphone into a virtual reality viewer. -3D TECHNOLOGY: Enjoy real 360° videos in the immersive world of VR from the comfort of your home. -COMFORT: Adjustable straps and pupil settings make for the ultimate and most comfortable 3D experience, even for those near-sighted. -APPS & GAMES: Download over 300 virtual reality apps on the iTunes App Store and Google Play Store. Life-time Warranty & 90 days No Reason Return Period. -EASY TO USE: Simply slide smartphone in the Virtual Reality Headset and play! The VR headset supports smartphones between 4.85"-6.25" width, 2.3"-3.8" length and 0.29"-0.37" thickness, does not support LG 4G & Nexus 6P.